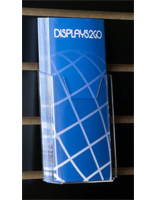 These business card displays are one of our most popular slatwall accessories! We sell 100s of slatwall accessories every day! Get your cards out there! 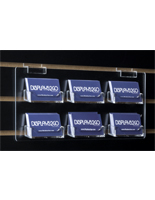 These business card displays, also known as acrylic card holders, are perfect for a quick grab. Trying to communicate your name and services? 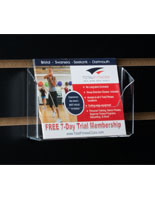 Add business card displays to your advertising display. 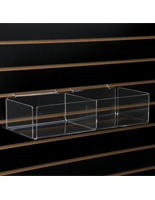 If you're running a retail store and want to get gift cards or business cards out to customers, these racks are the easiest way to get all of your cards out on display. 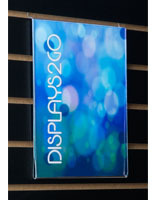 Our business card displays are designed to fit all our slatwall displays, kiosks and panels. With card dispenser units like these business card displays, getting your name and services out there quickly has never been more painless. 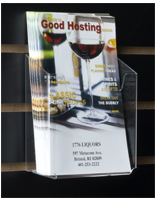 Because they are so easy to use, slatwall display products like these business card displays can be added, removed, or adjusted at your will. Leave the tools behind! For a quick and simple installation, just slide the hooks right into your slatwall panel and you're ready to go! 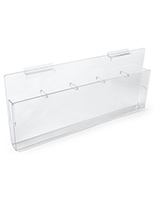 With two 3 ½" L x 1 ½" W card dispenser areas, you're sure to have plenty for the taking. The 1" sidewalls prevent the cards from falling out. Besides ample room for business cards, there is also a 7 ½" L x 1" W pocket for small flyers, personalized pens, or even gift card envelopes. The card display is made of acrylic, which is durable for long-term use. 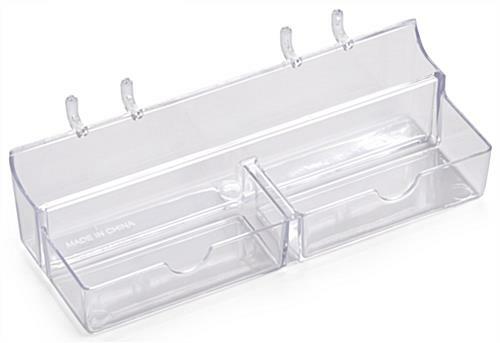 Although they are simply made, these acrylic card holders are extremely useful and durable products. 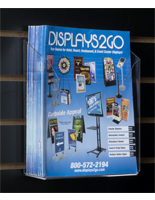 We sell these business card displays at a reasonable price so you can afford to build an amazing display even on a tight budget! 7.5" x 2.0" x 3.0"
3.5" x 1.5" x 0.75"